27/02/15 -- Soycomplex: Beans closed higher on the day and higher for the week, with uncertainty over the Brazilian truckers strike continuing to provide support. The Brazilian port of Paranagua are only said have sufficient soybean stocks to carry on loading ships until Mar 3. There's also talk of pig and poultry units running out of feed. Based on yesterday's figures, total US soybean commitments are now 97% of the USDA target for the season, so any unexpected switch back in demand to US origin material will be perceived as being bullish, eating into 2014/15 ending stocks. Still, the soybeans are out there if you can get to them it would seem, with Brazil’s Agroconsult estimated the country's 2015 soybean crop at 94.7 MMT, up 828,000 MT from previously. Harvesting in Brazil's top state of Mato Grosso is said to be 53.6% complete versus 58.5% a year ago. Parana's crop is 28% harvested, up only 4 points on a week ago. Argentina's Ag Ministry estimated their 2015 soybean harvest at a record 58 MMT versus 53.4 MMT a year ago. The Buenos Aires Grain Exchange forecast the Argentine crop at 57 MMT. Mar 15 Soybeans closed at $10.30 3/4, up 6 3/4 cents; May 15 Soybeans closed at $10.31 3/4, up 5 1/4 cents; Mar 15 Soybean Meal closed at $353.70, down $0.90; Mar 15 Soybean Oil closed at 32.80, up 96 points. For the week that puts front month beans up 31 1/2 cents, with meal up $6.20 and oil gaining 132 points. Corn: The corn market closed higher on the day, but little changed for the week. "The Brazilian trucker strike continues to be the trade’s mains focus. Yesterday’s reports of an agreement between the Brazilian government and the trucking union now seem slightly premature," said Benson Quinn. The USDA announced 140,000 MT of US corn sold to Saudi Arabia for 2014/15 shipment under the daily reporting system. They also reported 120,000 MT of US sorghum sold to China, split a cargo each for 2014/15 and 2015/16. Brazil’s Agroconsult estimated the country's 2015 first corn crop at 29.0 MMT, with production of the second corn crop at 50.0 MMT. Argentina's Ag Ministry forecast their corn crop at 30 MMT, down 3 MMT from last year. The Buenos Aires Grain Exchange estimated the Argentine crop much lower at 22.5 MMT. Harvesting of that is in its fledgling stage at 1.7% complete. Rains in the centre of the country are delaying the harvesting of corn that is ready to combine, they said. There's talk of reduced corn plantings in Ukraine and Russia this year due to the cost of producing an "input hungry" crop at a time when the local currencies have been under severe pressure and costs have risen substantially in domestic terms compared with 12 months ago. Mar 15 Corn closed at $3.84 1/2, up 4 1/2 cents; May 15 Corn closed at $3.93 1/4, up 4 3/4 cents. For the week Mar 15 corn was 3/4 of a cent lower. Wheat: The wheat market closed with generally decent gains on the day, but was mixed for a week in which Minneapolis wheat in particular lost some ground. Some of today's strength may have been tied to month end book squaring and profit-taking. There's talk of possible weekend frost damage to wheat unprotected by snow on the Southern Plains, although losses aren't expected to be significant. There's also continued trade chatter of possible winterkill damage to poorly established winter wheat in Russia and Ukraine. The trade is also mulling widespread reports of likely difficulties in funding the spring planting campaign in both countries too. Russia said that it had exported 24.2 MT of grains so far this season, including 18.8 MMT of wheat, and that exports for the full marketing year might reach 28.5 MMT and 20 MMT respectively. Russia exported 869,000 MT of grains Feb 1-25, and may finish the month shipping around 1 MMT, said Rusagrotrans. Wheat exports so far this month (to Feb 25) were only 322,000 MT, a drop of more than half compared to the same period in 2014. There's some talk of the Russian wheat export duty being tinkered with in the not too distant future. The Russian Ag Ministry estimated Feb 1 grain stocks at 29.2 MMT, up 3.9 MMT, or 15.4% higher than a year ago. Mar 15 CBOT Wheat closed at $5.17 1/2, up 14 1/4 cents; Mar 15 KCBT Wheat closed at $5.34 1/2, up 7 1/4 cents; Mar 15 MGEX Wheat closed at $5.56, up 4 3/4 cents. For the week Chicago wheat was up 7 1/4 cents, with Kansas 1 1/4 higher and Minneapolis 10 3/4 cents lower. 27/02/15 -- EU grains closed uniformly higher on the day, and mixed for the week. Paris wheat continues to perform better than its London counterpart, due to strong export demand aided by the weak euro. At the finish, Mar 15 London wheat was up GBP0.65/tonne at GBP116.80/tonne; Mar 15 Paris wheat was EUR2.00/tonne higher at EUR187.50/tonne; Mar 15 Paris corn was EUR1.00/tonne firmer at EUR149.50/tonne; May 15 Paris rapeseed was EUR5.75/tonne higher at EUR368.25/tonne. For the week, London wheat fell GBP3.70/tonne, Paris wheat was up EUR1.75/tonne, corn fell EUR1.75/tonne and rapeseed rose EUR10.25/tonne. For the month of February, London wheat lost GBP5.30/tonne, Paris wheat gained EUR2.00/tonne, corn fell EUR4.25/tonne and rapeseed added EUR18.00/tonne. Sterling closed at another new highest since late 2007 tonight, close to 1.38 versus 1.33 at the end of last month, which helps explain why London wheat is down and Paris wheat up during the course of the month. The weak euro helped EU soft wheat export licences top 900,000 MT for a third time this marketing year for the week ending Feb 24. Total soft wheat exports this season are now 20.8 MMT, which is 600,000 MT ahead of this time last year. Reports out of Ukraine suggest that growers there will probably plant a similar spring grain area to that of a year ago, but that yields will likely be lower due to a decline in fertiliser and plant protection applications due to in some cases a lack of availability, and in others simply cost. A year ago you needed less than 10 Ukraine hryvnia to buy one US dollar, today you need more than 33 of them. Russian growers also look set to face similar issues with regards to spring plantings. Despite government assurances that short-term loans are available to fund plantings and other farm inputs at subsidised rates, private sources say that getting access to these funds is extremely difficult "unless you are Putin's best mate"! The Russian Ag Ministry said that the country had exported only 322,000 MT of wheat Feb 1-25, a 57% fall versus the same period in 2014, due to the new export duty. Total grain exports this season might reach 28.5 MMT, of which 20 MMT will be wheat,they said. Exports so far this season are at 24.2 MMT, including 18.8 MMT of wheat. The Russian farmers' reluctance to sell his grain does however mean that 2014/15 ending stocks could be unusually high, at around 17 MMT including 8 MMT of wheat, the Ministry estimate - even if most of it will be in private hands rather than the government's intervention stores. FranceAgriMer said that 97% of the French winter wheat crop is tillering, up 2 points from a week ago and 4 points ahead of last year. Winter barley is 99% tillering, the same as a year ago. Spring barley planting is already 23% complete, up 13 points in a week and 20 points ahead of this time last year. Winter wheat rated good to very good fell one point from last week to 90%, although that's well ahead of only 73% this time last year. Winter barley rated good to very good was also seen down a point on last week to 90% versus 72% a year ago. 26/02/15 -- Soycomplex: Beans closed with decent gains. Some reports yesterday that the Brazilian truckers strike was petering out may have been overdone it would seem. Dr Cordonnier said that the strike was becoming "very serious" and that the port of Paranagua, which would normally handle around 900 grain trucks a day at this time of year only saw only 45 lorries on Tuesday and 75 on Wednesday. Some truckers attempting to break the blockade have found the soybean loads they were carrying dumped on the highway, he added. Diesel availability is getting tight, further hampering the movement of grain and also harvest activity, he said. Oil World cut their forecast for Brazil's 2014/15 soybean crop by 1.5 MMT to 91.5 MMT, but raised their outlook on Argentina a similar amount to 56 MMT. World production was nudged slightly higher to 312.2 MMT, a 10% increase on last year. MDA CropCast were unchanged on their forecasts for Brazil (93.5 MMT) and Argentina (57.3 MMT), but increased Paraguay by 240 TMT to 8.16 MMT. The IGC raised their forecast for the world soybean crop by 3 MMT to 315 MMT, with ending stocks up a similar amount to 45 MMT. They raised their forecast on Argentina to 57 MMT, dropping Brazil to 93.5 MMT, and increased Paraguay to 8.7 MMT. The USDA reported weekly export sales of 459,200 MT for 2014/15, which were down 9 percent from the previous week and 26 percent below the prior 4-week average. New crop sales were 36,200 MT. Exports themselves topped 1.1 MMT. Total commitments are now 97% of the USDA target for the season. 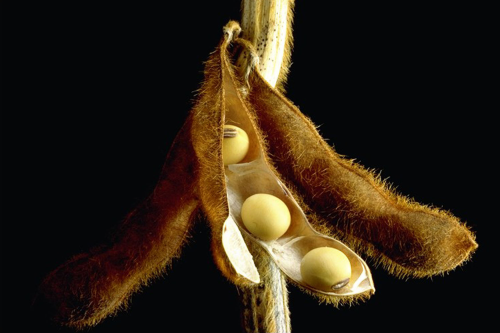 Mar 15 Soybeans closed at $10.24, up 16 1/4 cents; May 15 Soybeans closed at $10.26 1/2, up 15 3/4 cents; Mar 15 Soybean Meal closed at $354.60, up $4.10; Mar 15 Soybean Oil closed at 31.84, up 13 points. Corn: The corn market closed around 4-5 cents higher. "The South American trucker strike remains the main talking point. The majority are in agreement that the worst is behind us, but there continues to be opinions regarding the degree of damage already inflicted and the potential for residual strikes," noted Benson Quinn. Weekly export sales of 715,800 MT for 2014/15 were down 23 percent from the previous week and from the prior 4-week average. There were also new crop sales of 148,200 MT. These numbers were in line with trade expectations. MDA CropCast were unchanged on their forecasts for Brazilian corn production at 75.7 MMT and Argentina at 23.1 MMT. The IGC estimated global corn output unchanged at 992 MMT, with consumption up 1 MMT to 974 MMT and ending stocks down 1 MMT at 193 MMT. Corn prices have been pressured by bearish fundamentals, including comfortable world supplies, they said. They increased their forecast for the Argentine corn crop to 30 MMT, and were unchanged on Brazil at 77 MMT. They see global output in 2015/16 falling 5% to 938 MMT. CEC estimated South Africa’s 2015 corn crop at 9.66 MMT, the lowest since 2007, and down sharply on the 14.25 MMT produced in 2014. South Korea's KFA bought 120,000 MT of optional origin corn for September shipment in a tender. Mar 15 Corn closed at $3.80, up 4 1/4 cents; May 15 Corn closed at $3.88 1/2, up 4 3/4 cents. Wheat: The wheat market closed mixed. The IGC raised world wheat production in 2014/15 by 2 MMT to 719 MMT, with consumption up 1 MMT to 709 MMT and ending stocks rising 1 MMT to 197 MMT. Production in 2015/16 is seen falling to 705 MMT. South Korea's KFA bought 25,000 MT of feed wheat of optional origin for May shipment. South Korea's MFG bought 53,000 MT of similar for August shipment. MDA CropCast cut their forecast for the US all wheat crop in 2015/16 by 2.6 MMT to 58.9 MMT. Weekly US wheat export sales came in at 328,300 MT for delivery in the 2014/15 marketing year, which were up 23 percent from the previous week, but down 19 percent from the prior 4-week average. US wheat sales continue to suffer, hampered by the strong US dollar. The same cannot be said for EU wheat exports, with Brussels granting an impressive 912,431 MT of weekly soft wheat export licences this past week, almost treble the volume of US exports. That takes the season to date total to 20.8 MMT. France picked up 353,848 MT worth of soft wheat export licences last week alone, more than the entire volume of US wheat sales. The euro currently sits at an 11-year low against the US dollar, which is proving to be a very significant advantage to EU exports. Rusagrotrans said that Russia might export around 1 MMT of grains in February, less than half the volume shipped out in January, with wheat accounting for 400 TMT of that total. Mar 15 CBOT Wheat closed at $5.03 1/4, up 5 1/2 cents; Mar 15 KCBT Wheat closed at $5.27 1/4, down 1 cent; Mar 15 MGEX Wheat closed at $5.51 1/4, down 1 1/2 cents. 26/02/15 -- EU grains closed mixed. The same old story of a perpetually weak euro offered more support to Paris wheat than it did to the London market. The pound closed at its best levels versus the single currency since late 2007. At the close, Mar 15 London wheat was GBP0.35/tonne easier at GBP116.15/tonne, Mar 15 Paris wheat was EUR1.00/tonne higher at EUR185.50/tonne, Mar 15 Paris corn was down EUR0.25/tonne at EUR148.50/tonne and May 15 Paris rapeseed rose EUR3.00/tonne to EUR362.50/tonne. "The bearish sentiment in grain and oilseed markets has put pressure on prices, and currency movements have exacerbated issues for UK prices," noted the HGCA. The International Grains Council increased their forecast for global cereal production by 4 MMT to a record 2,006 MMT, up 5 MMT on a year ago. However, "all of the revision is absorbed by higher projected consumption, mainly in the feed and industrial use sectors, as demand is being stimulated by lower prices," they said. World wheat production in 2014/15 was increased 2 MMT to 719 MMT, with consumption up 1 MMT at 709 MMT and ending stocks rising 1 MMT to a comfortable 197 MMT. "World wheat markets were pressured by ample availabilities, strong competition among exporters and generally favourable prospects for 2015/16 winter crops," they added. World wheat production in the year ahead will however fall to 705 MMT, they predict. Unfortunately, the wheat tonnages given on their website are incorrect, and relate to "all grain" volumes not specifically wheat, so I can't report on these individually. 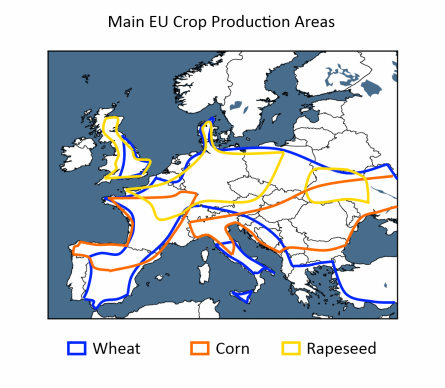 Closer to home: "Winter temperatures have been sufficiently mild in Western Europe to encourage slow growth in wheat. The late February satellite image reveals strong vegetation (health) in Spain and western France with warm winter temperatures. 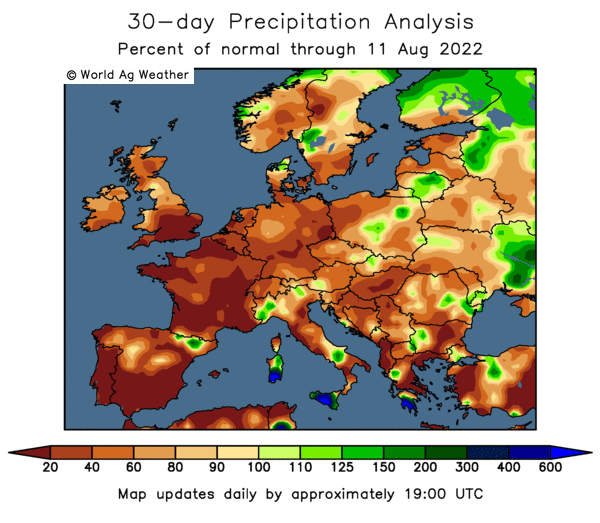 Less robust growth is revealed in United Kingdom, Denmark, Germany and Poland, where temperatures were cooler," said Martell Crop Projections. 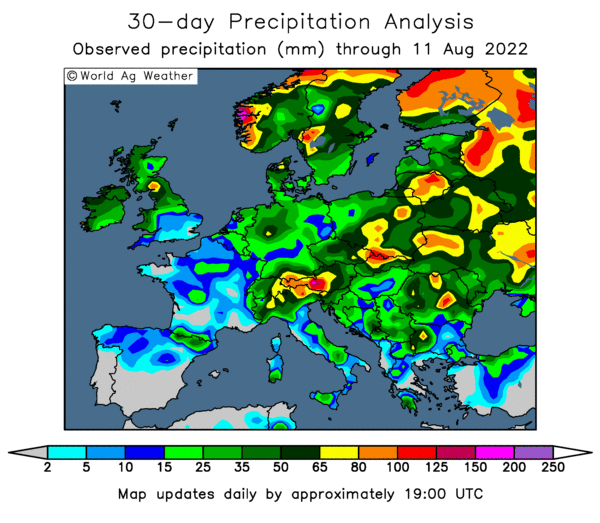 "The forecast is extremely wet in Western Europe in the upcoming week. 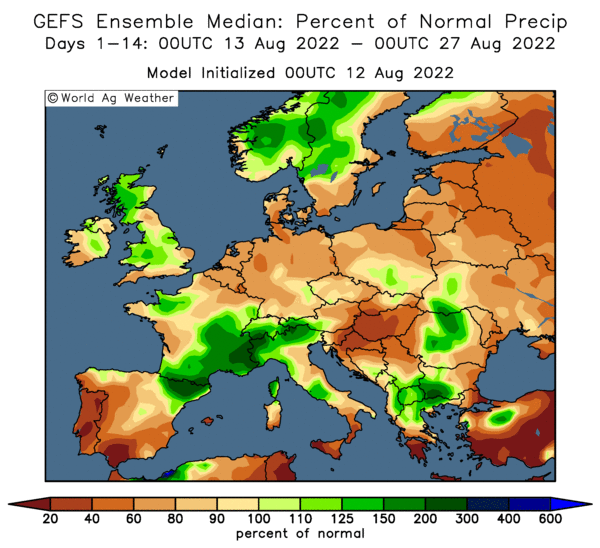 France and Germany are expecting 2-3 times the normal weekly rainfall with 1.5-2 inches expected. Rainfall would lighten up in southern Europe, the countries bordering the Mediterranean Sea expecting welcome dryness and more sunshine," they add. 25/02/15 -- Soycomplex: Beans closed lower on media reports of some form of resolution to the Brazilian trucker drivers strike. The Chinese Dalian market re-opened after a week off for their Lunar New Year celebrations, and promptly traded lower. Talk of South American soymeal trading into the US east coast was also bearish. The USDA attaché in Paraguay estimated their soybean crop at a record 9.2 MMT, up 8% from last year. Trade estimates for tomorrow's weekly export sales data from the USDA see bean sales sharply lower this week due to the Chinese holiday. Soybean sales are pegged at around the 500,000 MT mark for both old and new crop combined. Mar 15 Soybeans closed at $10.07 3/4, down 8 1/4 cents; May 15 Soybeans closed at $10.10 3/4, down 8 cents; Mar 15 Soybean Meal closed at $350.50, down $6.40; Mar 15 Soybean Oil closed at 31.71, up 29 points. Corn: The corn market slipped the best part of a couple of cents lower amidst a chronic lack of fresh news. The usual Wednesday data from the US Energy Dept revealed ethanol production fell to 947,000 barrels/day last week, down from 964,000 bpd the previous week. Stocks were up half a million barrels and now stand at a near 3 year high. One of the main access roads into the Brazilian Port of Santos was reported to have been cleared after it had been blockaded by striking truck drivers. Israel were reported to have bought 90,000 MT of optional origin corn, with Ukraine possibly the most likely origin. Ukraine said that they'd shipped 10.8 MMT of corn so far this season. Benson Quinn report that "US corn currently sits at a reported $8 premium to Ukrainian and Argentinian offers." Tomorrow's weekly export sales for corn are expected to come in around 700-900 TMT. Mar 15 Corn closed at $3.75 3/4, down 1 3/4 cents; May 15 Corn closed at $3.83 3/4, down 1 3/4 cents. Wheat: The wheat market closed lower across the board. The USDA announced 120,000 MT of US HRW wheat sold to Egypt for 2014/15 shipment. This was probably part of yesterday's reported business under the $100 million credit extension. The Russian PM supposedly said that there was no need as yet to extend the export duty on wheat to corn and/or barley. Israel bought 25,000 MT of optional origin feed wheat. Bangladesh are shopping for 50,000 MT of milling wheat for Mar-Apr shipment. Japan seeks 120,000 MT of feed wheat and 200,000 MT of feed barley for June shipment. India’s farm ministry said that India’s 2015 wheat crop prospects look better than they did last year when production was 95.85 MMT. The Ukraine Hydrometeorlogical Centre said that 15% of the nation's winter wheat crop would need replanting this spring. Mar 15 CBOT Wheat closed at $4.97 3/4, down 8 cents; Mar 15 KCBT Wheat closed at $5.28 1/4, down 7 1/2 cents; Mar 15 MGEX Wheat closed at $5.52 3/4, down 13 1/4 cents. 25/02/15 -- EU grains closed lower on the day, with Mar 15 London wheat down GBP2.00/tonne at GBP116.50/tonne, Mar 15 Paris wheat was down EUR1.25/tonne at EUR184.50/tonne, Mar 15 Paris corn fell EUR0.50/tonne to EUR148.75/tonne and May 15 Paris rapeseed was down EUR2.25/tonne at EUR359.50/tonne. The Ukraine Hydrometeorlogical Centre said that 15% of winter grains in the country could need replanting in the spring, up from only 4% a year ago and versus the norm of 7%. They forecast winter wheat yields this year at 3.2-3.5 MT/ha versus 4.0 MT/ha a year ago. The Ukraine Ag Ministry said that the country had exported 24 MMT of grains so far this season, of which 9.1 MMT is wheat, 3.9 MMT barley and 10.8 MMT corn. The Italian Ag Ministry said that plantings of soft wheat in the country were down 7.6%, and that corn sowings would fall 8%, and those of OSR will decline 6.5% for the 2015 harvest. Durum wheat plantings will increase 2.9%, the barley area will rise 3.6% and that of soybeans will increase 13.5%, they said. Russia picked up 6,210 MT of grains at its latest intervention purchase round, taking the total bought so far to only 365 TMT. Private reports out of Russia suggest that winter crop conditions are poor, and that despite government assurances, access to subsidised low interest loans aren't readily available. Private loan rates are 25% or more, which doesn't bode well for growers' ability to fund spring plantings and purchase other inputs. Still though, the market seems incredibly relaxed about this situation. Agri commodities are certainly not flavour of the month at the moment amongst the investment community, and the path of least resistance is downwards. In other news, Bangladesh are tendering for 50,000 MT of optional origin wheat. France has had some unusual success in their recent tenders. Israel bought 90,000 MT of corn and 25,000 MT of feed wheat, both of optional origin in a tender. Iraq cancelled a tender to import 50,000 MT of optional origin hard wheat for March shipment. 24/02/15 -- Soycomplex: Beans closed with decent gains as the Brazilian truckers strike enters its seventh day. Benson Quinn say that as well as "potentially disrupting flow of beans to the ports which could shift some demand back to US. This strike could also interrupt harvest with reports that some areas are running low on diesel fuel for harvesters." Protesters are also said to have blocked the Brazilian port of Santos. Dr Cordonnier has the Brazilian bean crop estimated at 93.0 MMT, unchanged from his previous estimate. He's also unchanged on Argentina at 57 MMT. Oil World said that the EU crushed 13.5 MMT of rapeseed in the first half of 2014/15 (Jul-Dec), a 6% rise versus a year previously. The soybean crush was unchanged at 6.5 MMT and the EU sunflower crush was down 3% at 3.6 MMT, they added. Ag Canada forecast the Canadian canola crop at 16 MMT in 2015, up from 15.5 MMT a year ago. Plantings are seen up 200,000 ha at 8.3 million ha. Exports are forecast up 300,000 MT at 8.4 MMT in 2015/16 and ending stocks estimated at 1.4 MMT. Mar 15 Soybeans closed at $10.16, up 16 3/4 cents; May 15 Soybeans closed at $10.18 3/4, up 17 1/4 cents; Mar 15 Soybean Meal closed at $356.90, up $8.60; Mar 15 Soybean Oil closed at 31.42, up 28 points. Despite the decent gains, note that beans finished around 13-14 cents off the intra-day highs, having traded 30 cents higher at one stage. Corn: The corn market closed lower, despite support from surging soybeans. South Korea's NOFI bought 197,000 MT of optional origin corn for September shipment. Safras e Mercado said Brazil’s first corn crop is 20.7% harvested versus 29.6% done a year ago.They said that second crop corn planting is 39.5% compete versus 26.6% a year ago. South Africa's 2015 corn crop is expected to fall to around 10-11 MMT versus 14.25 MMT a year ago due to adverse weather conditions. 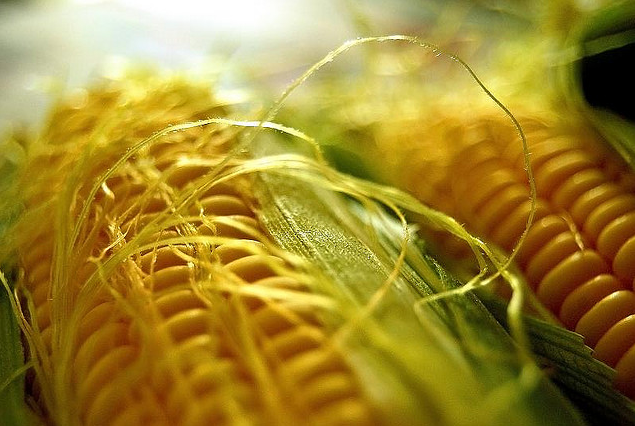 UkrAgroConsult said Ukraine exported 1.6 MMT of corn between Feb 1-23. The Russian Ministry said that the country had exported 120 TMT of corn between Feb 1-18 and had shipped out 1.3 MMT so far this marketing year. Dr Cordonnier has the Brazilian corn crop estimated at 74.0 MMT, unchanged from his previous estimate. He's also unchanged on Argentina at 23 MMT. Below average precipitation in key corn states is worrisome for spring planting, said Martell Crop Projections. "A very dry winter has depleted ground moisture in key Midwest corn growing areas. Precipitation since November 1 has been 25% below average though individual corn states have been even drier. Minnesota has accrued a 3-inch moisture deficit since November 1st, while Illinois, the second leading corn state, is down 2.5 inches below average. The corn belt at large has received only 72% of normal precipitation since early November," they say. Mar 15 Corn closed at $3.77 1/2, down 1 1/4 cents; May 15 Corn closed at $3.85 1/2, down 1 1/4 cents. Wheat: The wheat market closed mixed. Support came from the news that Egypt's GASC bought 5 cargoes of US HRW wheat, paying around $271-274/tonne under a special line of credit extended to it by the US. These prices are quite a bit sharper than the best offer of $287 in last week's aborted tender, but still nowhere near the prices last paid by GASC for EU wheat. South Korea NOFI bought 65,000 MT of optional origin feed wheat for August shipment, along with 10,500 MT of optional origin barley for July shipment. 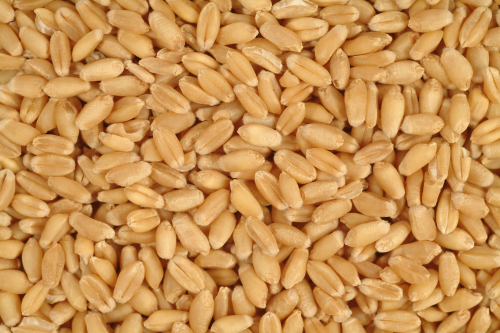 Tunisia bought 42,000 MT of durum wheat for Mar-Apr shipment. Jordan tendered for 100,000 MT of optional origin milling wheat for June delivery. UkrAgroConsult said Ukraine exported 589,000 tons of wheat between Feb 1-23. Russia said that it had exported 220,000 MT of wheat between Feb 1-18, and that the season to date total was 18.7 MMT. UkrAgroConsult said as of Feb 20 41% of Ukraine’s winter cereals crop (mostly wheat) was in good condition versus 59% a year ago, and said 18% of the crop is in poor condition versus only 7% a year ago. 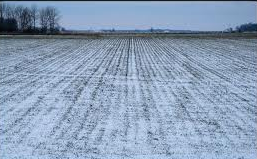 "Hard red winter wheat in the Great Plains has been subject to wildly fluctuating temperatures in January and February. The weekly mean temperatures were as high as 44 F and as low as 20 F. US temperatures are expected to continue well below average in the upcoming week, below freezing in hard red winter wheat, and less than 10 F in the Upper Midwest. Heavy snow is predicted in Southern Plains wheat," said Martell Crop Projections. Mar 15 CBOT Wheat closed at $5.05 3/4, unchanged; Mar 15 KCBT Wheat closed at $5.35 3/4, up 4 1/2 cents; Mar 15 MGEX Wheat closed at $5.66, down 1 3/4 cents. 24/02/15 -- EU grains closed mixed, but mostly a little higher, consolidating from recent losses, and buoyed by the current excellent pace of EU wheat exports. The pound rising to new 7-year highs against the euro however remains a thorn in the side of UK export ambitions. At the finish, Mar 15 London wheat was unchanged at GBP118.50/tonne; Mar 15 Paris wheat was EUR1.00/tonne higher at EUR185.75/tonne; Mar 15 Paris corn was EUR0.25/tonne lower at EUR149.25/tonne; May 15 Paris rapeseed was EUR5.25/tonne higher at EUR361.75/tonne. The pace of Russian exports has certainly slowed since the new duty on wheat shipments was introduced at the beginning of the month. The country's Feb 1-18 grain exports were only 596 TMT, of which 220 TMT was wheat, 225 TMT barley and 120 TMT corn. Russian exports in the first 17 days of December for comparison were over 1.7 MMT, including 1.15 MMT of wheat. Russia's Jul 1 - Feb 18 exports still come in 31% higher than they were a year ago, totaling 23.9 MMT, of which 18.7 MMT was wheat, 3.6 MMT barley and 1.3 MMT corn. That helps explain why the Russian government decided to put the breaks on wheat exports when they did, especially with estimates flying around that winter grain production could come in up to 40% lower this year. Spring grain plantings are not seen compensating for this, in fact they are officially expected to be 2% lower this season. Unofficially, they could be down a lot more than that. Russia say that they will provide short-term subsidised loans to farmers to help with their spring planting, but the deputy head of the Russian State Duma says that currently only a small proportion of Russian farmers will be able to take advantage of what is on offer due to lack of collateral. The promised RUB 14.4 billion is not enough either, they say, and they have written to the government asking for a further RUB 15 billion due to the "ever increasing cost of production". Russia's intervention purchase program meanwhile bumbles along at a spectacularly unspectacular pace. They only picked up 4,185 MT of grain today, taking the total purchased so far (since Sep 30) to less than 360 TMT out of an intended target of 2.5-3.0 MMT. In tender news, Jordan are in the market for 100 TMT of optional origin milling wheat for June shipment. Tunisia bought 42 TMT of optional origin durum wheat for Mar-Apr shipment. South Korea are tendering for 207 TMT of corn, 69 TMT of feed wheat and 12 TMT of feed barley, all of optional origin. It wouldn't be out of the question for Ukraine corn and French feed wheat to feature in the latter tender. Morocco's Ag Ministry are forecasting a record cereal crop of 10 MMT there this year, which if achieved would cut back on their import needs. Their 2014 harvest was around 7 MMT. They begin harvesting wheat around May. In Egypt, the Supplies Minister says that they have enough wheat now bought to last them through until late May, by which time they will be harvesting their own new crop. Planting of winter grains concluded in December. Vegetation health maps suggest good establishment of winter crops, according to the FAO. Nevertheless, the world's largest wheat buyer is said to have re-opened a tender to potentially buy US wheat, using a line of credit extended to it for $100 million by the US. 23/02/15 -- Soycomplex: Beans closed flat to with very small losses. The trade has been waiting for some time to finally see some evidence of a switch in demand to Brazil. Whilst weekly export sales have been falling away a little, they've regularly topped trade expectations in recent weeks. Today we got news that weekly export inspections last week "only" totalled 961,749 TMT. Some would say that this is still an impressive number for this time of year. Others will point out that it is the first sub-1 MMT week since Oct 2, and is down 28% on last week. Still, the cumulative pace of exports so far this season is 41.25 MMT, up 15% on a year ago. The US has now shipped 85% of the USDA's forecast for the season versus 80% this time last year and 69% normally. "Wet weather with recurring showers has hampered Brazil’s soybean harvesting this month, said to be 20% complete as of February 19. Soybean quality is also in jeopardy according to AgRural the farm consultancy. The rain is coming too late to improve soybean yields," said Martell Crop Projections. A truck drivers strike in Brazil is also hampering the movement of soybeans to the ports. Mar 15 Soybeans closed at $9.99 1/4, unchanged; May 15 Soybeans closed at $10.01 1/2, down 3/4 of a cent; Mar 15 Soybean Meal closed at $348.30, up $0.80; Mar 15 Soybean Oil closed at 31.14, down 34 points. Corn: The corn market closed around 6 cents lower. "The overnight session started off weaker and gravitated lower into the morning pause. Larger than expected grain inspections in corn and wheat weren’t enough to rally the grains on the day. The bulls seem to have run out of bullets for the moment," said Benson Quinn. Weekly export inspections of over 900 TMT were indeed a little above trade expectations of 700-850 TMT. Year to date inspections now total 17.29 MMT, and are around 2% up on a year ago. Total shipments so far this season are now running at 39% of the USDA's target for the marketing year versus 44% normally at this point. Brazilian rains may be delaying the harvest there a little, but should be beneficial for newly planted safrinha corn. Planting of that crop in Mato Grosso is said to be around 40% complete versus 57% normally. Argentine corn is said to be looking great. Ukraine said that they'd shipped 10.6 MMT of corn so far this season, around half of the Ag Ministry's forecast for the 2014/15 export campaign. Crude oil slipped back below $50/barrel, which didn't help corn's cause today. Mar 15 corn posted the lowest close since Feb 2. Mar 15 Corn closed at $3.78 3/4, down 6 1/2 cents; May 15 Corn closed at $3.86 3/4, down 6 1/4 cents. Wheat: The wheat market closed mixed. Weekly export inspections of more than 500 TMT were half decent, and the largest since early October. Even so, the marketing year to date total is still down almost 30% on year ago levels. Exports are now 67% of the USDA target for the season versus 70% typically at this time. Egypt are said to have re-opened their tender for US wheat. You will recall that they've been given a special $100 million line of credit to buy US wheat, but passed up on what they were offered last week, booking EU wheat at more than $60/tonne below the cheapest US offer. A Reuters survey into Canadian spring wheat plantings came up with an average trade guess of 17.3 million acres, down slightly on 17.4 million a year ago. FranceAgriMer said that French winter wheat and barley crop conditions are better than they were a year go. The EU Commission's MARS unit said that winterkill damage in Europe had so far only been light. They did however note significant damage potential in north-eastern regions of Ukraine, and especially southern Russia. Mar 15 CBOT Wheat closed at $5.05 3/4, down 4 1/2 cents; Mar 15 KCBT Wheat closed at $5.31 1/4, down 2 cents; Mar 15 MGEX Wheat closed at $5.67 3/4, up 1 cent. 23/02/15 -- EU grains closed mostly lower on the day. The weak euro, against which the pound rose above 1.36 today, remains a problem for London wheat relative to the French market. At the close, Mar 15 London wheat was GBP2.00/tonne easier at GBP118.50/tonne, Mar 15 Paris wheat was EUR1.00/tonne lower at EUR184.75/tonne, Mar 15 Paris corn was down EUR1.75/tonne at EUR149.50/tonne and May 15 Paris rapeseed fell EUR1.50/tonne to EUR356.50/tonne. For London wheat this was the fist sub-GBP120/tonne close for a front month since Nov 11. It was also the first time we've seen Paris corn close below EUR150/tonne since Nov 19. The EU Commission's MARS unit released their latest crop report today, in which they said "for the EU, our frost-kill model to date suggests only local and limited frost-kill crop damages in Bulgaria, Romania, Hungary and Poland." "However, the north-eastern regions of Ukraine, and especially southern Russia, appear to be considerably affected by frost kill. These regions were affected by severe frosts until mid-January, when the snow cover was inadequate to protect the crops, which were vulnerable due to their weak establishment as a consequence of insufficient rains and dry soil conditions during the start of the winter cropping season," they noted. The Russian Ag Ministry said last week that winter grain production there could fall by around 40% in 2015/16 you may recall. The market however seems to be more preoccupied with other matters for the time being. Closer to home, crop conditions appear better than they were 12 months ago in France. FranceAgriMer said on Friday that 91% of their winter wheat crop was rated good to very good, up from 74% this time last year. The French winter barley crop was also rated 91% good to very good compared to 73% a year ago. 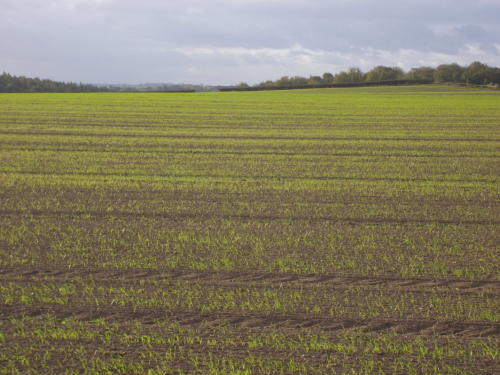 They estimated spring barley planting at 9% complete, which is 7 points ahead of this time in 2014. They also said that 95% of the French winter wheat crop is at the tillering stage versus 89% a year ago, whilst 98% of the winter barley crop is tillering, the same as this time last year. Ukraine seaports exported 857.6 TMT of grains last week, according to APK Inform. That's up sharply from the 574.8 TMT exported the previous week. Wheat accounted for 18% (158.1 TMT) of last week's total and corn 74% (634.5 TMT). Corn's share of the export market the previous week was 80%. They also exported 65 TMT of barley last week. Ukraine's total grain exports to date this season now stand at 23.7 MMT, according to the Ag Ministry. That total includes more than 9 MMT of wheat, 3.8 MMT of barley and 10.6 MMT of corn. Russia's exports via seaports meanwhile fell to 236.2 TMT last week from 401.6 TMT the previous week. Wheat accounted for 37.5% (89 TMT) of that total, barley 42% (99.4 TMT) and corn 18% (43.3 TMT). There's some trade chatter that Russia may be considering extending the recently introduced duty on wheat exports to also include corn and barley. 20/02/15 -- Soycomplex: Beans closed lower on the day, but higher for the week. The USDA reported decent weekly export sales of 505,600 MT of old crop and 115,900 MT of new crop. Exports of 1.35 MMT were down 16 percent from the previous week and 21 percent below the prior 4-week average. Nevertheless, they are still holding up pretty well. The US now has 96% of its USDA soybean export target already sold. Meal sales of 316,600 MT for 2014/15 and a further 35,900 MT for next season also topped trade expectations. The final day of the USDA's Outlook Forum tentatively pegged the 2015/16 US soybean crop at 3.800 billion bushels versus 3.969 billion last year, a 4.3% decline. Yields were pencilled in at 46 bu/acre versus 47.8 bu/acre last year. Ending stocks however are seen rising to 430 million bushels, up 11.7% from this season. It was the latter piece of news that principally caused today's declines. With China closed, other fresh news was limited. Mar 15 Soybeans closed at $9.99 1/4, down 8 cents; May 15 Soybeans closed at $10.02 1/4, down 9 cents; Mar 15 Soybean Meal closed at $347.50, unchanged; Mar 15 Soybean Oil closed at 31.48, down 35 cents. For the week, front month beans were up 8 3/4 cents, meal was $15.50 higher and oil lost 92 points. Corn: The corn market was lower on the day, and a bit easier for the week too. That came despite weekly export sales of 932,200 MT of old crop and 143,200 MT of new crop beating expectations. US corn sales are now 77% of the USDA target for the season versus 72% this time last year and 68% typically at this time. That's not too bad given the current strength of the US dollar. The USDA's Outlook Forum estimated this year's US corn crop at 13.595 billion bushels versus 14.216 billion in 2014, a 4.4% decline. Yields were pegged at a second highest ever 166.8 bu/acre versus last season's record 171.0 bu/acre. That might be setting the bar a bit high, even at this early stage in the game. US corn ending stocks were estimated at 1.687 billion bushels versus 1.827 billion this season. Corn used for ethanol production in 2015/16 was forecast at 5.225 billion bushels, or 38.4% of the crop. 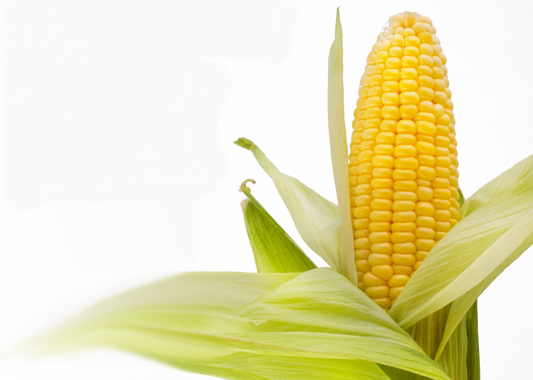 "Argentina;s corn prospects continue to improve with favourable summer growing conditions. Pollinating corn benefited from heavy rainfall in January, with most corn farms receiving 125-150% of normal rainfall. February weather has trended drier, but cool temperatures are promoting favourable grain filling," said Martell Crop Projections. The later than normal Brazilian soybean harvest is delaying planting of second crop corn there however. Mar 15 Corn closed at $3.85 1/4, down 4 1/2 cents; May 15 Corn closed at $3.93, down 4 3/4 cents. Front month corn lost 2 cents over the course of the holiday-shortened week. Wheat: The wheat market closed lower on the day, and with some hefty losses for the week. This week's Egyptian pass on US wheat offers, followed by them booking 240 TMT of EU wheat, highlighted just how expensive US wheat is. The European wheat bought was more than $60/tonne cheaper than US material, and that's before more expensive freight is added on. Weekly US export sales of only 266,600 MT for delivery in the 2014/15 marketing year were down 35 percent from the previous week and 41 percent from the prior 4-week average, driving home the message. Marketing year to date sales are down a hefty 24% on where they were a year ago. Benson Quinn described this week's sales total as "awful". Sales so far this season are 86% of the USDA target versus 88% normally. Actual shipments this week of 391,900 MT were up 5 percent from the previous week and 9 percent above the prior 4-week average. They were still rather unspectacular though. "The negative momentum on the charts is building with sessions as poor as this one. New lows for the move everywhere and a new contract low for Kansas wheat doesn’t bode well for the length going forward," said Benson Quinn. In Washington, the USDA's Outlook Forum estimated the 2015/16 US wheat crop at 2.125 billion bushels versus 2.026 billion last year, a rise of 4.9%. Wheat ending stocks next season were pegged at 763 million bushels, up more than 10% from this year. Mar 15 CBOT Wheat closed at $5.10 1/4, down 17 1/2 cents; Mar 15 KCBT Wheat closed at $5.33 1/4, down 11 1/4 cents; Mar 15 MGEX Wheat closed at $5.66 1/2, down 7 1/2 cents. For the week that takes Chicago wheat 22 3/4 cents lower, with the market in Minneapolis down 20 1/2 and Kansas falling 29 1/2 cents. 20/02/15 -- EU grains closed mostly lower on the day, and lower for the week, with the exception of rapeseed which posted small gains. 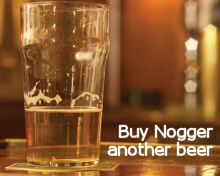 The day ended with Mar 15 London wheat down GBP1.20/tonne at GBP120.50/tonne, Mar 15 Paris wheat was down EUR1.50/tonne at EUR185.75/tonne, Mar 15 Paris corn fell EUR1.75/tonne to EUR151.25/tonne and May 15 Paris rapeseed was up EUR0.50/tonne at EUR358.00/tonne. For the week that puts London wheat GBP2.25/tonne lower, with Paris wheat down EUR1.25/tonne, corn falling EUR1.75/tonne and rapeseed EUR0.75/tonne higher. Fresh news was relatively scarce. The FTSE 100 closed at 15 year highs, and just 15 points short of an all-time high. Equities appear to be offering investors better potential returns than the grain markets it would seem. Volume has been light this week, with the US closed on Monday, Brazil off on holiday Monday and Tuesday, China now closed until late next week for their Lunar New Year celebrations and some UK traders absent all week due to the half-term holidays. Under those circumstances, the EU has done rather well to continue to pick up some good export business. Brussels confirmed yesterday that EU soft wheat exports are now running ahead of even last year's record pace. Egypt bought 240,000 MT of EU wheat yesterday, Algeria purchased 400,000 MT of what is widely believed to be French wheat yesterday too, and today it was announced that Morocco had bought 363,500 MT of EU wheat under a preferential tariff agreement. Russia said that 21.2% of its winter grain crops were in poor condition. The Russian Ministry said that winter grain production could fall around 40% this year. They also today forecast spring grain and pulse plantings to fall 2.2% to just over 31 million hectares. The Russian economy continues to look shaky, with Moody's today downgrading their sovereign credit rating to "junk" status. In previous years the vibe out of Russia would have triggered a flood of spec money into the wheat market, but this far there's hardly been a trickle. The situation in Ukraine remains tense, with their PM saying that the "agreed" ceasefire is "non-existent". Pro-Russian rebels are said to be amassing forces close to the strategic port of Mariupol on the Azov Sea as they prepare to attempt to take it under their control. Private reports out of Ukraine and Russia suggest that there are a variety of problems sourcing the materials needed to fund the spring planting campaign. High prices, lack of seed, fertiliser and agrochemicals, a shortage of fuel, lack of credit and some suppliers reneging on previously agreed contracts now that prices have risen substantially all getting a mention. For now though the market either seems to not know, or not care, about these developments.